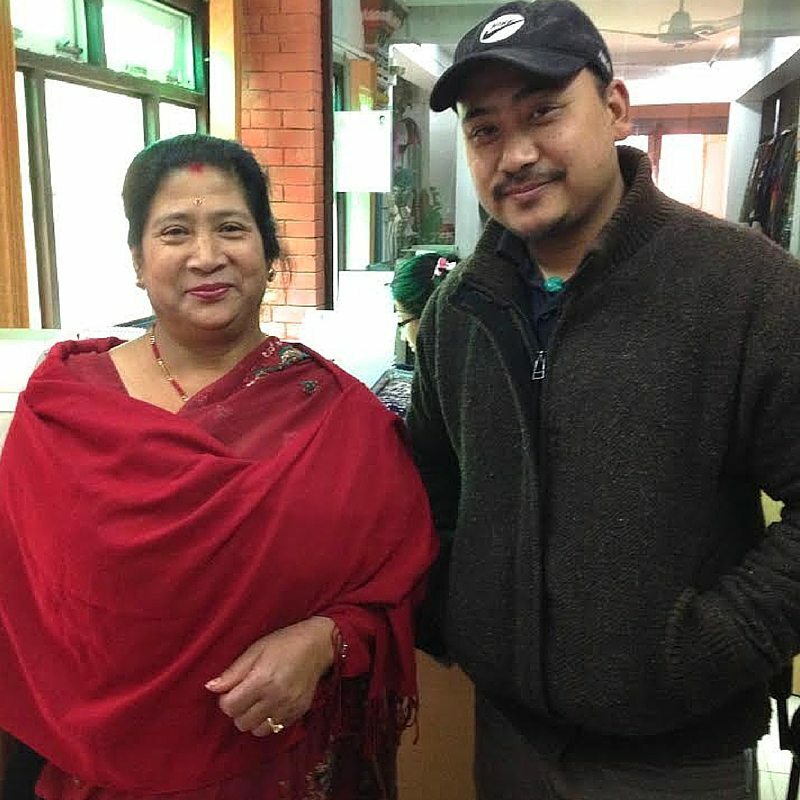 Women in Nepal seldom have control over their families’ finances. Cultural constraints and household duties often do not allow them to work outside of their homes and many have no voice. 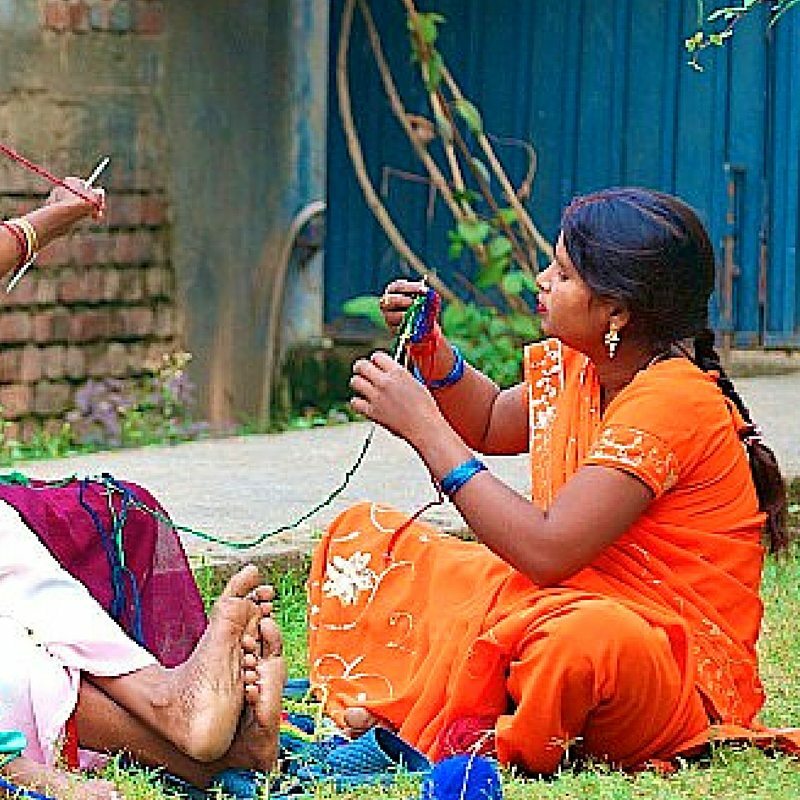 Enter Fair Trade and Knitting! Knitting has provided a solution to both of these challenges. As a true “cottage industry” knitting allows women to work for their own income in between caring for children and completing housework. But it does so much more. 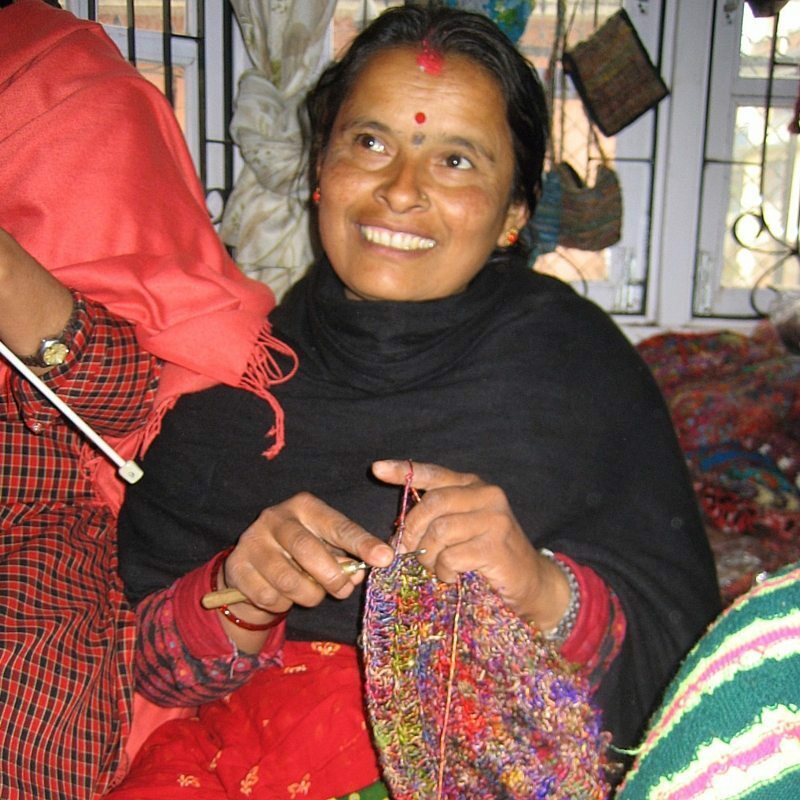 For Ganesh Himal knits, women gather together in village or neighborhood teams, select a leader who can travel to get supplies, learn a new skill which gives them confidence, make money they can manage, discuss problems in their lives and community, all while staying at home. Their income earnings and greater confidence result in greater voice in their homes and communities resulting, over time in an increase in status and community leadership. This income gives them a greater voice and ultimately leads to more choice for them, their families and their children. It almost seems too simple: a skein of wool saving a life. 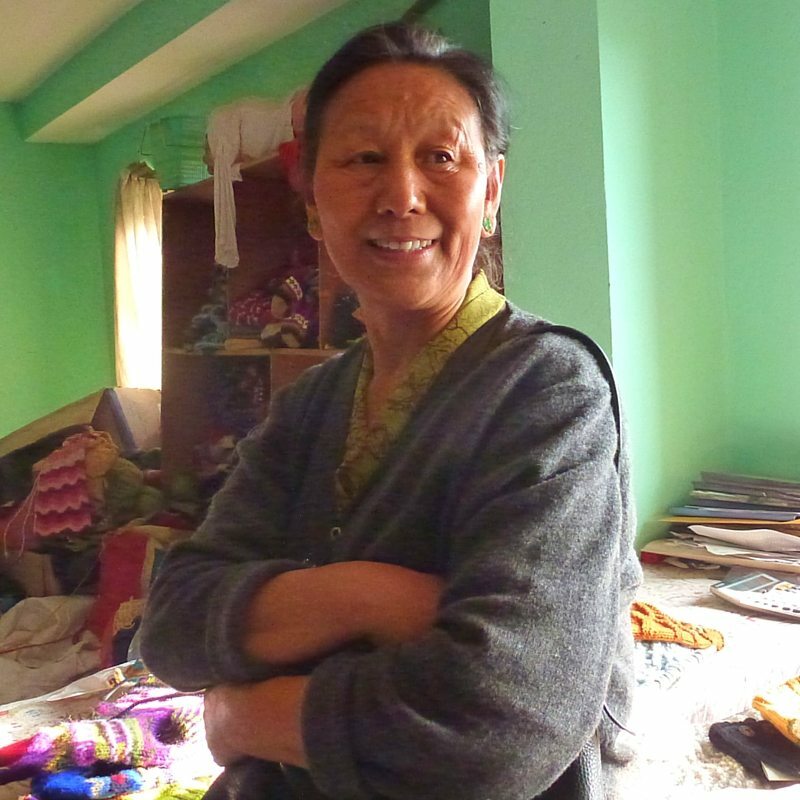 For women of Nepal, beaten down by a complex and consuming social status, wool is a welcome reality. As the Nepalese countryside was ripped apart with civil war Pemala reached out to village women who had been widowed in the conflict.